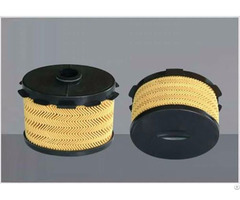 Cylinder filter element is made of sintered wire mesh laminates, this kind of filter element is comparatively simple in processing compared with pleated filter elements. 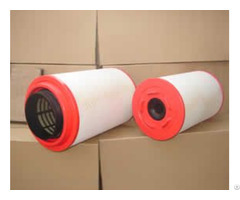 Normally comes in the form of pipes or cylinder filter. Processes involved include shearing of filter media, welding to form a cylinder, machining of the caps and other parts, soldering of the parts to the cylinder, washing, testing, etc. 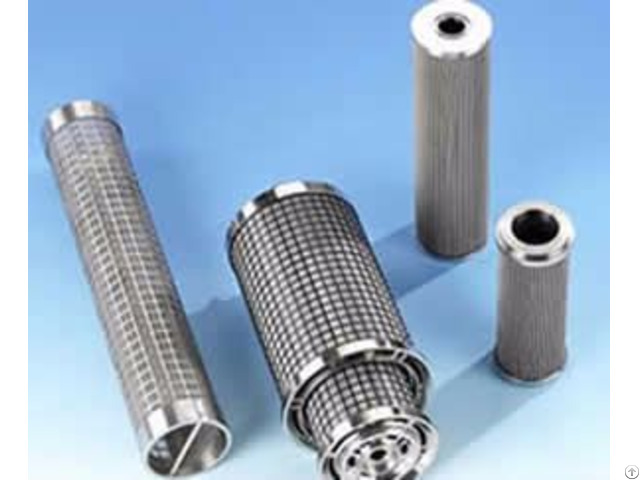 Cylinder Filters are a proven design that has been used effectively in a range of low airflow applications for many years. Incorporating a single sized spare for all sizes the cylinders are moisture resistant, long lasting and easy to maintain. The entire range is available in Aluminum or Stainless Steel and can be fitted with optional Weather Cowls. Specification: Available filtration rating (μm): 2, 5, 10, 20, 40, 75, 100, 150, 200. Typically used on blower systems, silo blowers and venting applications the range of fittings and sizes allow various custom solutions. 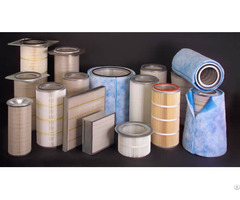 They are also used in air filter, hydraulic filter and oil filter, filter media-sintered wire cloth laminated sheets. Each cylinder comes complete with true-union ball valve for easy flow adjustment and easy removal from filter sump. There are no gaskets or screws to remove. All cylinders are hooked up to a common cylinder manifold and supplied with water via a 1" diameter line from the main pump manifold. Slip right into all filters and sumps. Can be used in all other filter makes with special bracket custom made for your sump. Holds carbons, resins, phosphate and nitrate reducers (cannot be used with iron oxide phosphate removers). Directs water through, not around, the medium. Water is in long contact time for efficient use of media. Water enters top and exits out bottom into filter sump. Simple and quick removal and refill. True-union ball valve for adjustment and cylinder removal. Includes cylinder manifold assembly (2 and 3 cylinder setups only). Includes inlet and outlet foam filter elements.